95-99 here. But John, I already have HID's(but realized I need different bulbs than stock, duur), can the price be adjusted not include Angel eyes? 7. David Ingram (WHITECAVY) 1997 Cavalier projector clear lenses. 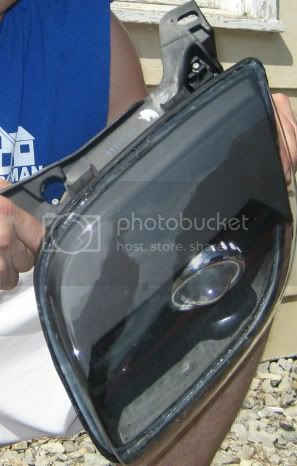 Black outer housings like picture below. yeah, people that have existing HID kits can get a ballast-less version. the bulbs and wiring harnesses are different and will need to be included, but you are welcome to use your own ballasts so long as they are A/C ballasts. Do you want absolutely NO angel eyes, or just on the outer projector? The one in the link is the base model for the 03+ cavalier and will be priced lowest at $325 + shipping. the other version, all black would be $350. everything comes with angel eyes built in. You could either leave them there and not hook them up, or I could remove them from the assemblies. Im with David on not wanting any angle eye. I should be able to tell you within a week or so about when i will be able to place an order with you. ok, everyone requesting the angel eye delete, do you want the angel eye removed from the housing, or do you want to not hook it up? the angel eyes are integrated into the bezel, i can remove them.....but it might actually negatively affect the appearance. if you dont hook them up, you have the option to in the future, and will probably be better for resale. either way, the choice is yours, i just need to know when I am building them. Ill just got with your HID kit and be done with it. 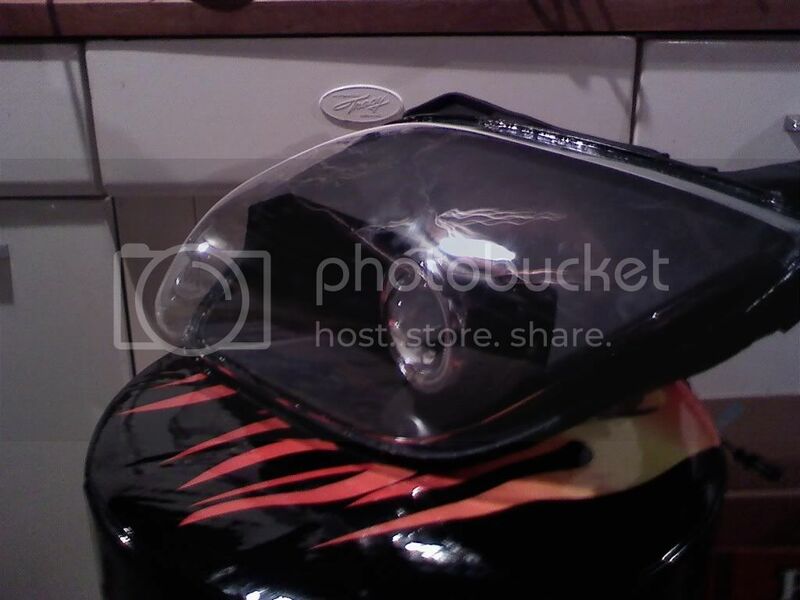 So I only want the Angel eye on the OUTTER housing, not the inner like pictured. If you want I can pm you so you can keep track of my order better, since I may of confused everybody here lol. I know what you are saying, but i will be talking with each person in pm/emiail to make sure they are getting what they want during building. John, I hate to be difficult, but do you have any pictures of the 95-99 lights WITHOUT the angel eye? I just want to compare so I can decide what I want. I will.....after I build yours, lol. Honestly, I do not. I would say find someone good @ photoshop, or just use your imagination. The only other 95-99 ones I have are all chrome. Jucnbst, you have a pm. Everyone else, the GP has been posted and paid for, awaiting approval. as soon as I see it turn up, I will post a link in here. I accidentally submitted it by hitting the enter key with my elbow when I was trying to change the title, so I am not sure what it is going to say.......but it will be there soon reguardless. a definate pick up as soon as t4's come rollin in, and i figure some minor things out, but i gotta say them headlights r sick!! 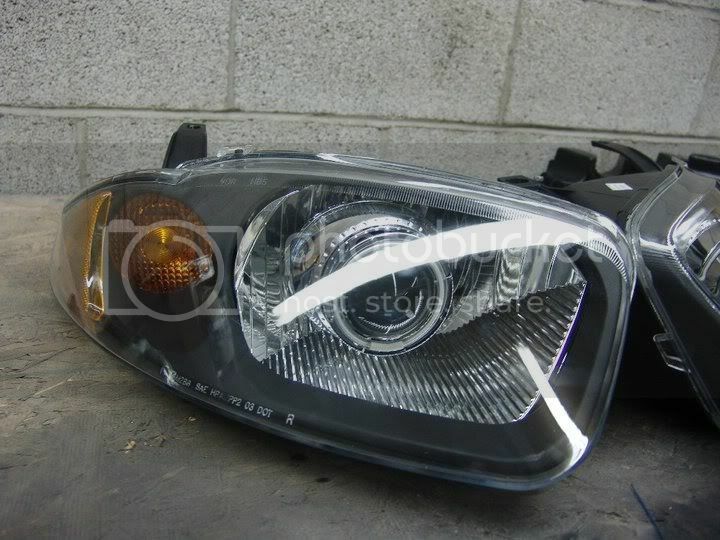 !, u ever think of doin foglights using the stock brackets?? thats doable, depends on how crazy someone would want to go. i could certainly include one in there, but there are several ways to do that. as far as fogs, yes, I have made projector fogs that use factory brackets. 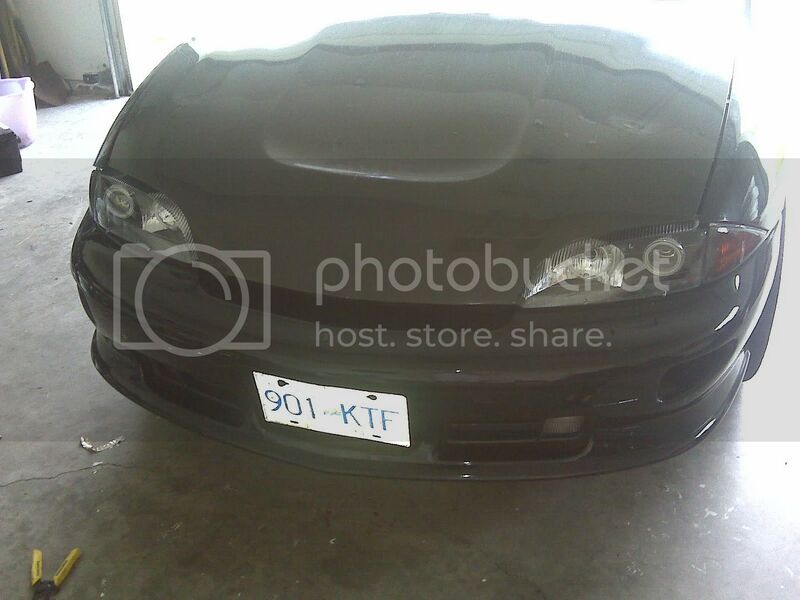 John you got any more pictures of the 2000-2002 sunfire ones? 5k = about Damn near as close to daylight, 6k = hint of blue. I dont, they are basically a D2S without a base.